Local government has been wearing the blinkers imposed on it by the centre for so long it’s often hard for it to remember that there is a different way. We’re locked in this system where the local has to beg for central agreement, for instance if it wants powers devolved. And the centre will step in to sort out any council that strays out of line. On the latter point, it would take a pretty doctrinarian localist to insist that, for instance, Rotherham MBC shouldn’t have been subject to central intervention. But, to give one topical example, why shouldn’t Yorkshire councils proceed to seek devolution for their historic county as a whole? And, to bring up what may be this decade’s most iconic example of central nit-picking, why should the government impose limits on councils publishing their own newspaper or magazine? He proposes “an independent commission, sponsored by local government, not to make the case for devolution but to forensically inquire into the political and policy failings of central government”. Among the case studies such a commission could examine are the EU referendum, universal credit, rehabilitation of prisoners, the NHS reforms, and the austerity programme, Mr Taylor suggests. And Mr Taylor offers his own society to provide the secretariat for this “Local Government Commission for Democratic Renewal”. Rarely has Britain been so in need of democratic renewal. 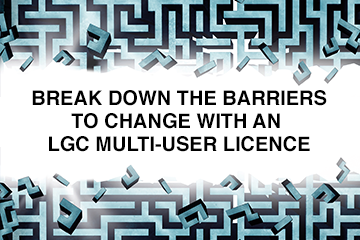 LGC has lately opined how the local has been locked into a system where it constantly has to look up to the centre for guidance or permission but now the centre has pretty much ceased to undertake its responsibility to govern. Local services have been dying while the centre persists with austerity (whatever Rishi Sunak may say) and preoccupies itself with Brexit. Now is the time to rethink conventional wisdom. It’s not the local, it’s the centre that is failing. And as Brexit turns most things on its head, now is the time to instigate a new bottom-up approach, which would truly be encapsulated by the local holding the centre to account for its failings. Twitter suggests Mr Taylor’s suggestion would win much support from senior local government figures from around the country. Indeed, one council chief phoned up LGC to volunteer to make the “case for the prosecution”. One can note the practical problems with Mr Taylor’s idea. Despite the RSA’s offer on the secretariat, councils are pretty overstretched when it comes to running their own business, let alone sorting out someone else’s. How could they find the resources? And, when critics may observe that the Local Government Association’s workings are hindered by its need to ensure a political balance on all of its committees and groupings, how could councils select a balanced group of individuals to redesign the national system but nevertheless work cohesively? And why would central government comply? At present it seems a little far-fetched (dare we say it) that councils could subpoena Andrew Lansley, to use one obvious example, to explain why he did it, or to actually get current ministers to listen to their findings. But sometimes practicalities just have to be overcome. And sometimes you just have to do things because they’re right. The resourcefulness local government has shown this decade should put it in good stead to make Mr Taylor’s idea workable. If Brexit was motivated by a notion that Westminster should no longer be answerable to Europe (we’ll leave it to others to fight it out over whether Theresa May’s deal secures this goal), there is a certain logic that it should take place alongside the British centre being held to account by local communities. A wise government would continually seek to better itself rather than keep on repeating the same old mistakes. While it will always be MPs who have the primary role when it comes to holding ministers to account and advising on how the government’s workings should improve, even they have only limited resources and capability (as those who observe select committees may note of their weaker members). A wise government would heed the advice of Local Government Commission for Democratic Renewal. For too long the centre has shaped the local: now is the time for the local to shape the centre. The proposal whilst welcome is too narrow a scope.We need something akin to a time limited Royal Commission to look at how public services are provided and paid for.